. 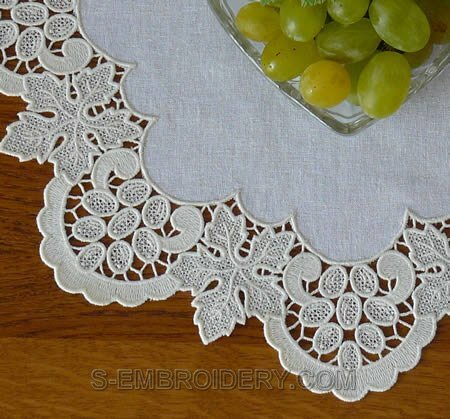 The diameter of the finished doily is 16 inches (40 cm). 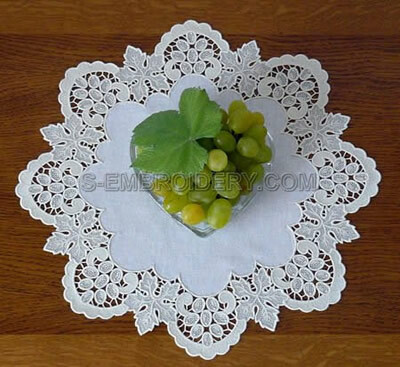 The design comes with instructions for creating the doily, shown on our web site. Your designs are absolutely the best. 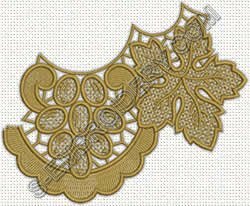 I have quite a few of your FSL designs and the quality and beauty are outstanding. Finished product looks just like your picture. Thanks for the lovely designs.